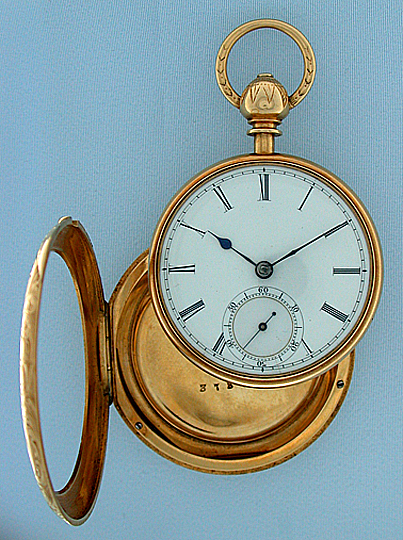 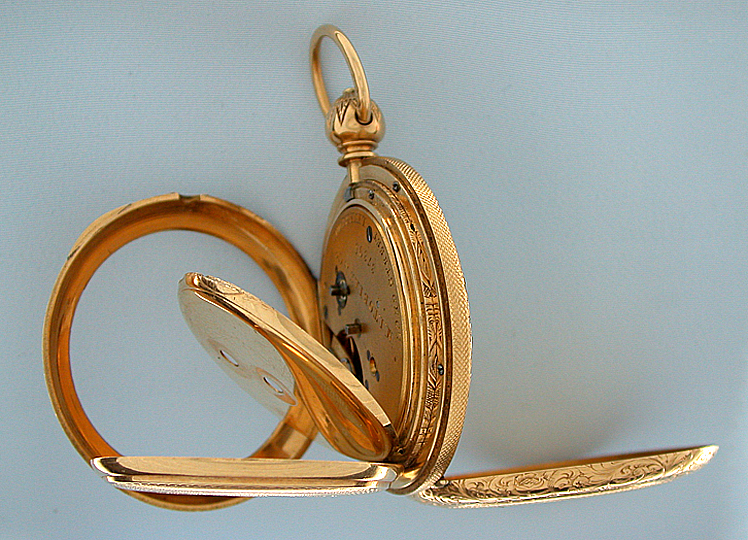 Fine and unusual English convertible 18K gold antique pocket watch by Tobias circa 1850. 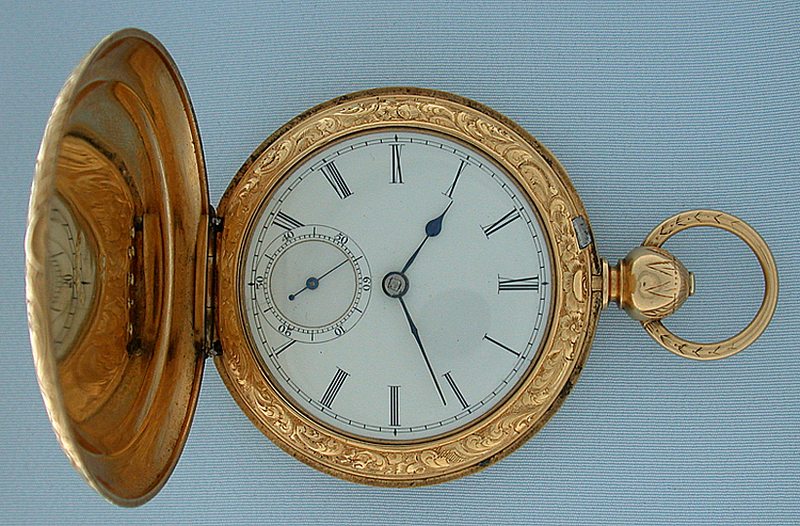 This watch converts from open face to hunting case. 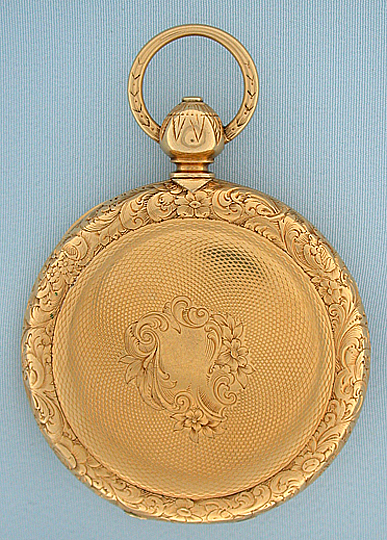 The case with engraved bezels, pendant and bow, the engine turned centers with floral shields. 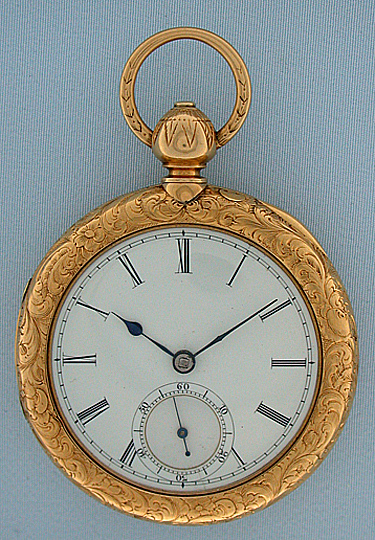 White enamel dial with tiny hairline and blued steel hands. 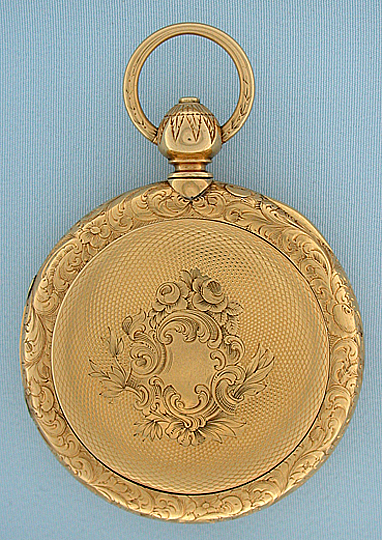 Gilt 15 jewel side lever and fusee movement. 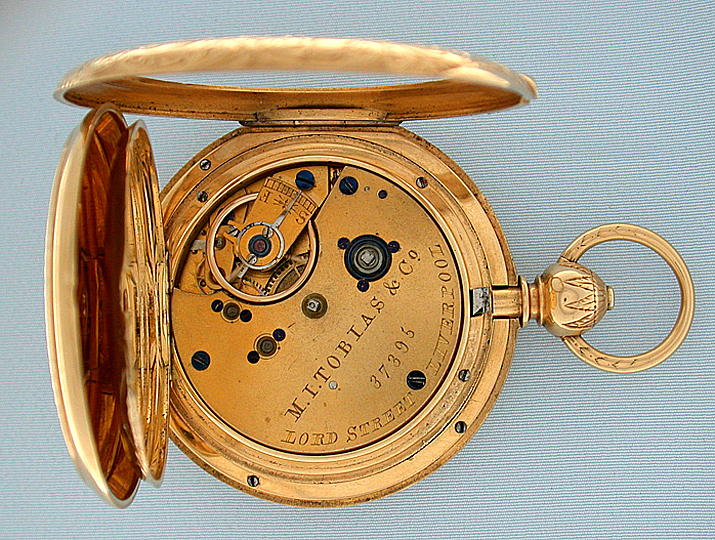 A most attractive example in lovely condition.